So. You may be smack in the middle of your first Smart Factory project...or you may be wondering what all the hype is about..or, you may be looking around for a brand of programmable controllers that will talk to an ERP SQL database. 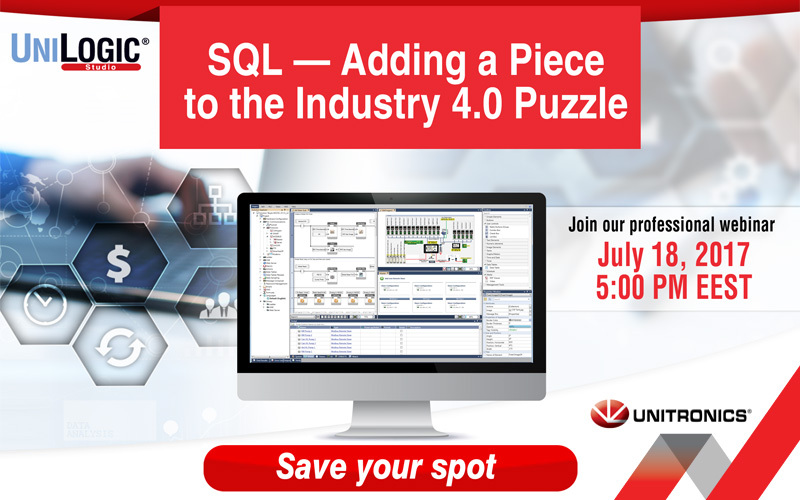 No matter what your particular scenario is, we invite you to attend our webinar to learn how easy it is to communicate data via SQL, from the production floor up to management levels using Unitronics All-in-One PLC + HMI controllers. Next entry Machine Builders/OEMs Webinar: UniStream!